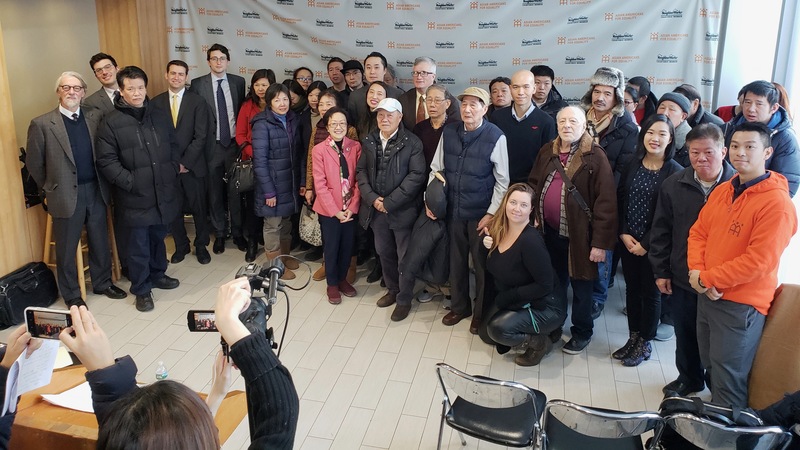 Nearly 100 residents who lived in three buildings on Grand Street in Manhattan’s Chinatown received settlement checks, eight years after a devastating seven alarm fire destroyed their homes. The tenants were awarded $900,000 in property damages after years of negotiations with the owner of 283-285 Grand St., Fair Only Real Estate, and its insurance carrier. 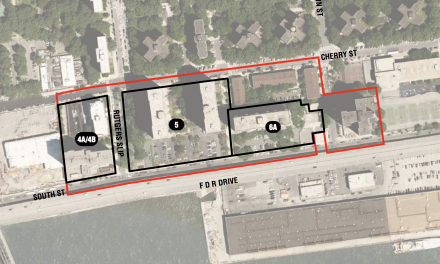 Combined with an earlier settlement with the owners and managers of the third building, 289 Grand St, the tenants have succeeded in recovering more than $1 million for their losses. 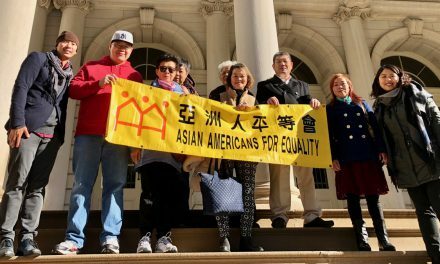 Asian Americans for Equality (AAFE) has been advocating on behalf of the residents since the fire erupted April 11, 2010. The New York City law firm, Patterson Belknap, was approached by AAFE soon after the fire and the firm agreed to handle the case pro bono. The fire, one of the worst New York City blazes in the past decade, caused the death of an elderly resident and left dozens injured. 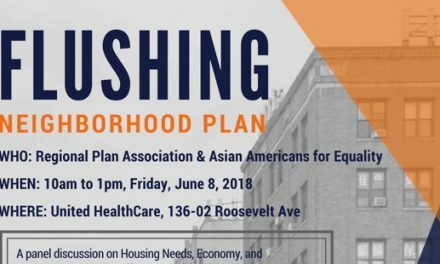 One of the buildings, 289 Grand St., was restored after the tenant association and AAFE took the owner to housing court, with legal support from the New York City Department of Housing Development and Preservation. The other buildings, severely damaged by the fire, were demolished. As outlined in complaints filed in New York State Supreme Court, the origin and rapid spread of the fire was the product of the building owners’ years-long pattern of gross neglect in maintaining the buildings. Among other things, the complaints alleged that the landlord “knowingly and intentionally” ignored “highly dangerous conditions,” including inadequate fire-safety measures, exposed wires, and rotting walls. These were reflected in dozens of housing violations and citations issued by the city. A Fire Department investigation determined that “sparks or heat from an overheated electrical junction box” at 283 Grand St. ignited the fire. The tenants, most of whom were longtime Chinatown residents, lost nearly all of their personal property in the fire, including precious family photos, mementos, clothing and furnishings. Most tenants were required to take part in a deposition and submit a sworn statement. AAFE provided translation services from Chinese to English for many of the tenants. Residents received payouts tied to their individual property losses, ranging from a few thousand dollars to more than $100,000. Jia Bi Dong, who lived at 283 Grand St. with his wife for 15 years, said, “After all of these years I wasn’t sure what would happen, but I’m very thankful to AAFE and to Patterson Belknap for helping us.” Mr. Dong lost cherished art work in the fire that the family had brought over from China. In the course of its representation, Patterson Belknap also secured an important victory with the assistance of the New York Attorney General’s Office, recovering the tenants’ unlawfully withheld security deposits, with some tenants having received refunds of several thousands of dollars. 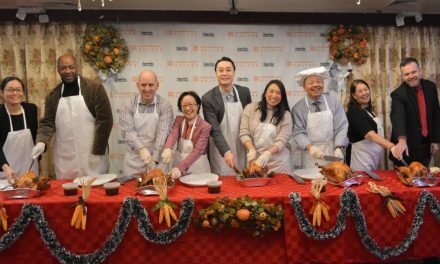 Some of the Grand Street tenants won a separate $175,000 award three years ago from Wong’s Grand Realty Corp., the owner of 289 Grand St. So the total settlement for property damages as a result of the fire exceeded $1 million. In the immediate aftermath of the fire, AAFE helped find temporary housing for displaced tenants, assisted in the replacement of identification and other documents and fought for the rehabilitation of 289 Grand St. AAFE, as part of the Stand for Tenant Safety Coalition, successfully pushed for City Council legislation to beef up enforcement in neglected and dangerous buildings. A package of 12 bills became law in 2017.